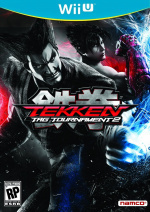 Namco Bandai is set to make the Wii U version of Tekken Tag Tournament 2 available both physically and digitally on launch day in Japan, according to a report on Siliconera. However, the game will be cheaper if you decide to download it from the Wii U eShop. 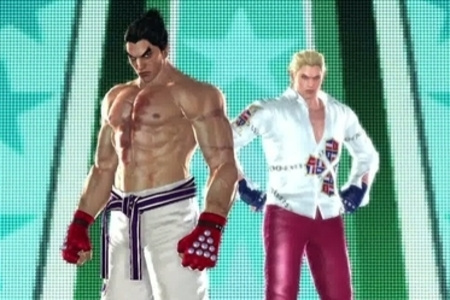 In stores, the fighter will set gamers back 6,980 Yen, whereas a digital copy will be 6,280 Yen. That's a good sign, right? What's interesting about the digital copy is the file size. It'll take up a whopping 16.7 GB of HDD Space; if you purchase the Premium console, that's just over half of your precious space gone. It's still questionable whether this policy of cheaper retail downloads will make it outside of Japan, with 3DS eShop retail games in Europe, for example, typically more expensive than their boxed counterparts. If this pricing does come to the West, though, will you be tempted into more downloads? We may need to buy a hard drive sooner than we thought. I might be tempted, with that nintendo premium download subscription thing, I'll probably download Nintendo Land as well. I ussually buy many games second-hand, but this might get me into buying new. Even if these Wii U game turn out to be cheaper in the UK (£5 cheaper),I'll still be going for physical copies. Don't hold out much hope for this to make it's way out of Japan anyone. @Sjoerd You can't just play the copy that comes with the system...? Thank God we can still download it to an external HDD (or an SD card?). I mean, the 3DS downloads everything to the SD card, so...yeah. @schroedus I'm planning on using a 128GB SD card for my Premium Wii U however we still don't know if it will support SDXC cards which is annoying because if you reformat a 128GB SDXC card to FAT32 it will work with the 3DS however there is a 4GB file limit so if that is the case with the Wii U I would not be able to download Tekken Tag 2. "We may need to buy a hard drive sooner than we thought." Really? Downloading HD retail games, how long did you think it would take to fill 32GBs? They often exceed 10GBs. Personally, I prefer a physical copy to a digital one for various reasons, but I still have an HDD ready for the WiiUWare games, as I expect them to measure in GBs as well. If all Wii U games turn out like this, maybe I'll be interested in retail downloads. I just downloaded Layton and its ONLY in Dutch. While I prefer to play my games in English. This makes me think twice about downloading cause they reduce file size by cutting other languages which they think we don't want but its actually the opposite. It's a good sign but the digital versions really need to be MUCH cheaper imo. At LEAST half the price I'd say. Glad to see them offering lower prices, a step in the right direction. As for file size, this may be a wake-up call for purely Nintendo game players, but Xbox and PS3 owners are already aware of the capacity requirement problems. Awesome, glad I have a 1tb HDD. @adrenochrome Well it only works on the 3DS if you reformat the card to FAT32. No problem. I already purchased a 1.5 TB Hard Drive in anticipation of the Wii U. Along with four brand new black Wii remote Plus controllers, 4 brand new black nunchucks, and 2 new induction charging panels. My place has long been prepared for the new system. Just 23 days to go!!! @Kirk you think that a box and an instruction manual accounts for half the cost of a game? You're crazy if you think that. They are pricing these games along the lines of Steam, who offers usually no more than a $10 discount for a virtual download over the physical copy. Now hopefully they put games on sale periodically to drive business and regularly reduce the price of older games. THIS is misleading though isn't it? On-line retail prices are usually over 10 quid cheaper thn the RRP in the UK anyway for nintendo video games. Also, TTT2 will still reduce in price over time moreso than download price reductions imho. Also, what about lending your copy out to trusted family (which I do) and freedom to trade-ins. Still, too many "nos"
I don't know how people can still be confused. There IS NO RRP that is publically announced for the UK (or Europe) anymore, due to the whole "price fixing" allegations that nintendo doesn't want to have to deal with ever again. Just like all of Nintendos products - The price is decided entirely by retailers. And, it is not just online retailers who are "undercutting" by pricing 3ds games at £30 at launch, it's retail stores too. If all the stores, who are in charge of deciding the price for the region, decide that the best price for brand new 3ds games is £30, then the closest thing to an RRP we have is £30. Nobody is undercutting anything, nintendo is instead vastly overpricing eShop download versions. now the question is : will WII-U support a filesystem allowing >4GB files ? ntfs, ext, exfat, proprietary one ? If my math is correct, then it's about 60 dollars retail vs 54 as a download. Dilemma! Probably plump for the boxed copy, 50% of my premium space just vanishing like that would feel like a kick in the danglies. The on-line circuit generally has much lower prices thn high street retailers. I see what you are saying BUT you still get on-line retailers occasionally saying now things like "£10 saving from RRP"
I already have TTT2 priced at £32. Sonic and SEGA down to £30 and Tank Tank Tank £25 and Rayman Legends at £33. Things are looking better, a tad in the pre-order Wii U. But remember how, on the Wii, if a game was saved on a SD card, you needed the empty blocks on the system equal to the size of the game to be able to launch it....will basic Wii U owners even be able to launch Tekken? If this pricing does come to the West, though, will you be tempted into more downloads? YES! I think the decision is obvious. @towels ... Yeah 2 on-line retailers have ttt2 going for cheaper than 32quid. Want to know why? Trying to attract more customers after poor customer reviews. They are unreliable. Zavvi I think is one of them and has let me down a few times. I'd rather pay a little more with a reliable retailer who gives me decent reward points to boot! Already have a 160 GB 7200 RPM HDD that I ripped out of an old computer enclosed and ready for Wii U. Don't you get a 2 year discount on games in the eShop with the Premium Wii U??? @SkywardLink98 Sort of. You get 10% credit back from each game/dlc you buy from the eShop. I say sort of because you don't get that money back unless you're using it for game related purchases on the eShop. ($60 - $49.50)/ $60 = 17.5% reduction. This also isn't factoring in the potential of sales which would be the sales reduction plus an additional 10% back in credit (if you have Deluxe). ($60 - $27) /$60 = 55% reduction. @Hyperstar96 Maybe he's planning on buying the basic bundle which doesn't come with Nintendo land. I'll always buy physical copies of retail games and I often get downloads long after they come out (I do that with retail games too) so after I get a Wii U, it may be a while before I have to buy a hard drive for it. I'm just gonna stay with retail. Well I'll be set with my 32GBs on my new premium Wii U. The games can't be that.......... Holly guacamole! I prefer downloading the games honestly. Quick access, and there will be benefits from the Wii U Premium service. I'm waiting until I know what HDD to buy though. PS3 HDDs had to be only 1T max, and 5400 RPM, so I'm waiting until I know which HDD will work. I don't want to buy a super fancy HDD, and then figure out it doesn't work a month later when I can't return it anymore. It's good to be prepared if you can be, but I don't recommend going out and buying an external HDD until you get the console, and know what it supports. Don't jump the gun on the external HDD... I hope it supports any, including the SD cards, but better safe than sorry. I'm guessing you will need the space on your Wii U to play the games through download play. I plan on only using some of the memory for apps and main features of the console, and leave the rest, unless it doesn't need the download play. I'm planning to repurpose a 512GB USB drive for Wii U storage as soon as I get the console anyway, so no worries about file sizes for me. Anyone truly surprised by modern games that are close to 20GB have apparently not been paying attention. I just nabbed XCom: Enemy Unknown from Steam last week and it's about 14GB in size. Good news! The price of the retail download is "at least" half the price of the boxed copy. I'll probably buy this game used and save both money and space instead. I'm so surprised that anyone even makes a big deal about file sizes. With SD card and external HDD solutions so affordable nowadays, there shouldn't be any reason to worry so much about file size. I have several 2GB SD cards laying around and a 1TB external HDD not being used, I'm sure I'm not the only one either. @retro_player_22 I probably will too, not to mention Tekken games end up in the cheap bin very quickly. I am waiting for clarification on which size HDD drives will work, although any USB 2.0 drive 'should'. The only file sizes to be initially aware of are the eShop downloads - Trine 2, for example will most likely clock in at around 2-3GB. Full retail games aren't on my radar unless they are heavily discounted. New releases are 60GBP on PS3 at the moment, but older games are as low as around 10. I'd never download a file that size, and for what the storage space will cost you, you're not even saving money in the end. Surely I'm not the only one who's surprised that MS, Sony and Nintendo have not released their own official HDD's? Yes they probably would be a little bit more expensive than the rest, but at least you know it would be good to go straight out of the box. That's huge for a fighting game. Most PS3 games aren't even near that large. I completely agree. Everyone seems to usually think it's because of "fanboyism", but in reality it's just more convenient, and like you said, "Good out the box yo!". They could ven make limited quantities, and if those sell, start making more. Just think, maybe Wii U games run best at 6000 RPM, which isn't a standard RPM rate in HDD(as far as I know).